W. M. Lyles Co. INTERN PORTAL Click here to enter. We are pleased to welcome the newest class into the Lyles Construction Group (LCG) Internship Program. This group of 12 students have been recruited across the states of California and Indiana to learn, grow, and make an impact at LCG. The interns are each employed by an LCG company and assigned both a mentor and a jobsite or division office for the summer. They have the opportunity to execute work that is meaningful to them and the Company. 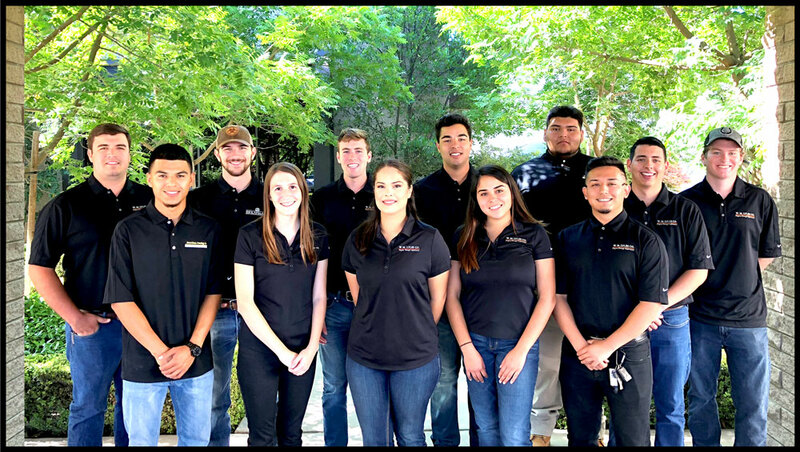 To mark the beginning of this year’s Internship Program, the interns were all invited to Fresno to celebrate their achievement of becoming an LCG Intern and learn more about the Company. The interns were invited to The Lime Lite on the evening of June 19, 2018. Before the delicious meal, they had the opportunity to meet and get to know each other. Also in attendance, were many individuals from LCG’s leadership. This initial dinner provided a relaxed environment to foster connections and grow professional relationships among attendees. In addition to the social aspect of the event, our goal was to encourage an open dialogue that provided an opportunity for interns to express their ideas on what they hope to gain from this experience. The next morning, the interns came to the corporate office to partake in a Company Orientation. The morning started off with a presentation on the Company’s founding and detailed history, given by Rich Nemmer, Executive Vice President and Chief of Operations, Lyles Services Co. They met with each of the Department Heads and had the opportunity to learn more about the specific business functions of the Company. The interns left with more information about the Company’s philosophy, culture, projects, and operations. The day concluded with a luncheon at The Palms Restaurant. The interns had the opportunity to meet Will Lyles, IV, Senior Vice President – Construction Operations, Lyles Diversified Inc. Will and Rich conducted a question and answer session that provided an overview of the Company’s direction and objectives. It also provided insight on other topics, such as how interns should go above and beyond in their work to achieve success. As the summer progresses, the interns will have an opportunity to take on challenging projects that will further their industry knowledge. The LCG Internship Program gives students a unique experience that encourages their professional growth through work that benefits the Company by advancing projects. We are confident that their time with us will be both educational and rewarding. We would like to extend sincere gratitude to the Company Presidents, Division Managers, Department Heads, and Mentors, who are instrumental in making our Orientation and Internship Program a success. 9/26/2018 California State University, Sacramento Information Session 5:30 p.m.
11/14/2018 Cal Poly San Luis Obispo Info Session (Construction Management) 6:00 p.m. Here, you are a name, not just an employee number. Our policy of promoting internally creates plenty of opportunities for upward advancement. Comprehensive training, supportive mentoring, and our commitment to safety in the workplace reassures employees that they are valued and protected. Resumes may be submitted to the Human Resources Department at lmarchese@lylessc.com.